We celebrate 36 years of operation in 2018 one of the longest running artist run initiatives in Australia. 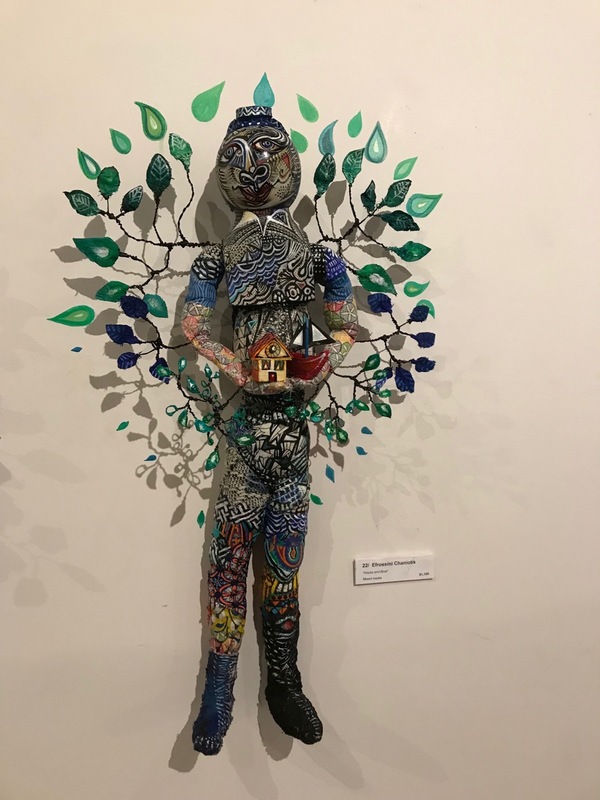 arc Yinnar is a space for artists run by artists, offering a wide range of creative activities and resources to our members, visitors and the local community. A community sponsored event the inaugural Gippsland Sculpture Exhibition 2017 showcased sculptures of excellence that have been submitted by local, national, and international artists. The many exhibits were located throughout Main Street, in the garden and inside the premises of arc Yinnar. The event dates were 1 April to 27 May. The Judges Kevin Mortensen, artist and Simon Gregg, Curator, Gippsland Art Gallery Sale selected the two main Prize Winners. The Alan and Margaret Glover Prize $5000, for the best Exterior work: Aldo Bilotta, Emoji, aluminium and bronze. Judges’ comments included “fresh, well made, creative use of materials, drawn to the form of the eggplant with the colour removed, doesn’t take itself too seriously, engaging”. 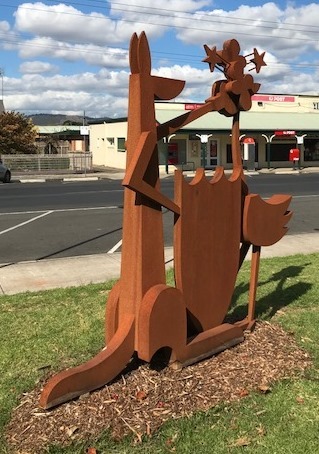 The $1000 People’s Choice Award (donated by long-time resident of Yinnar, Frank Peel) gave locals and visitors alike, the chance to vote for their favourite sculpture. The winner of this category was Pip Nikodemski with Layers of Woman.